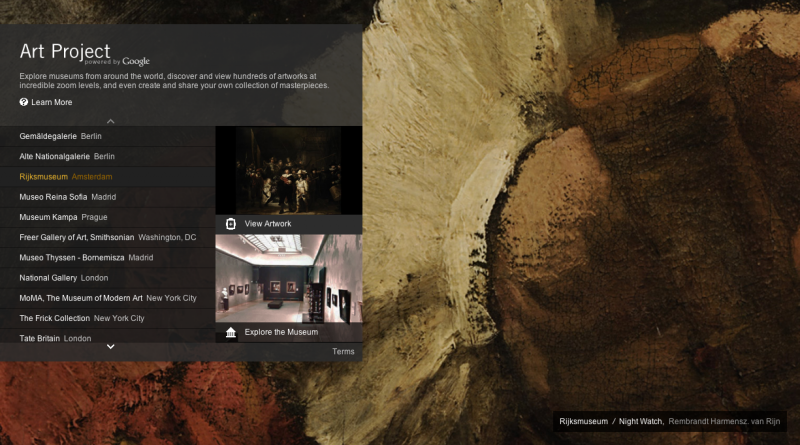 Google has just launched an amazing online tool that allows visitors to browse through the collections of art museums all over the world. You can zoom into the actual artworks, and even stroll through the halls of the museums. The same technology that powers Google Street View makes this all possible. My favorite feature is being able to zoom into the artworks themselves, being able to see the texture of a work at such a high resolution is almost superior to seeing a work in person!